Jr. Hydrologists [Scientist B] Group A : 07 positions in Central Ground Water Board. Assistant Hydrologists Group B : 30 positions in Central Ground Water Board. Geologist [Group A] : 300 positions in Geological Survey of India. (1) Age : All Candidates must 21- 32 years old as on 1st January, 2011. Relaxation in the upper age limit as per norms defined by Government of India. (2) Educational Qualifications: Candidate must hold (i) Master's Degree in Geology or Applied Geology or Marine Geology from a recognized University or (ii) Master's Degree in Mineral Exploration or (iii) Master's Degree in Hydrology or (iv) Diploma of Associateship in Applied Geology of the Indian School of Mines, Dhanbad. (3) Physical Standards: Candidates must be physically fit according to the physical standards for Indian Geologist's Examination, 2009 as described in the detailed advt. Application Fee : A fee of Rs. 100/- is payable through Central Recruitment Fee Stamp only. SC/ST candidates are not required to pay fees. However, OBC candidates must pay full fees. 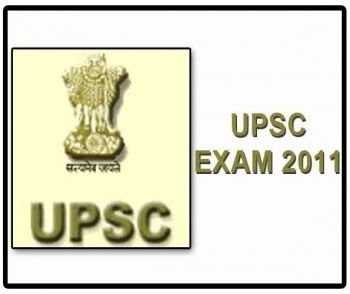 Application Instructions : Candidates may apply online at UPSC website http://upsconline.nic.in from 20/08/2011 to 19/09/2011. Candidates from far-flung areas can also apply through offline applications which can also be filled in the Common Application Form devised by UPSC for all its examination, which can be purchased from designated Head Post Offices/Post Offices all over the nation by making a cash payment of Rs. 30/-, which must reach the "Secretary, Union Public Service commission, Dholpur house, Shahjahan Road, New Delhi - 110069" either by hand or by Post/Speed Post only or by Courier, on or before the deadline i.e, 26/09/2011.